Does Lady Death secretly appear in ‘Avengers: Infinity War’? There is no denying that Avengers: Infinity War changed the face of the MCU as we know it. But did it also secretly introduce Lady Death? Warning: Major spoilers for Avengers: Infinity War ahead. Not only was Gamora’s death at Thanos’ hands the key to unlocking the Soul Stone on Vormir, but the knowledge that she had been murdered caused Peter Quill, a.k.a. Star-Lord, to fly off the handle, thwarting the Avengers (and friends) on Titan from keeping the Time Stone out of the Infinity Gauntlet. However, unlike some of the other permanent deaths – which we are classing as any death that occurred prior to The Snap – there was something about Gamora’s that didn’t quite feel final. A niggling thought that was exacerbated by the appearance of a younger Gamora in a deserted, orange-tinged world immediately following Thanos’ use of the Soul Stone. 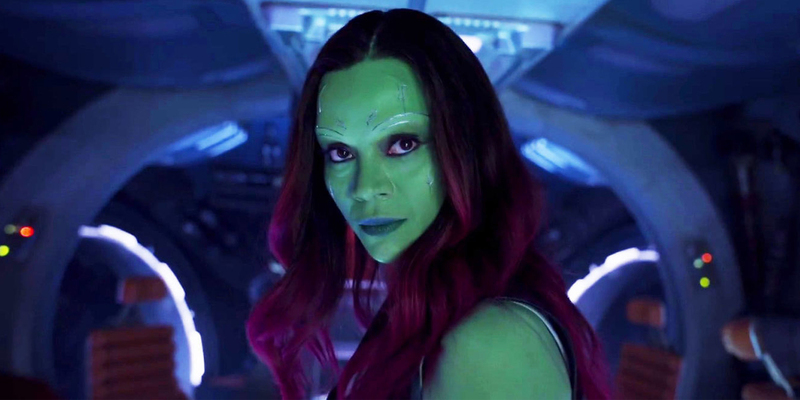 We have two theories for how Gamora might return in the as-yet-untitled Avengers 4 movie and beyond – one of which might also play into where, exactly, all the Snapped souls went at the end of Infinity War. Since Thanos was introduced in the Marvel Cinematic Universe, there has long been speculation about what, exactly, his motivation for seeking out the Infinity Stones would be. Comic book fans, of course, looked back to the source material in order to piece things together from the clues handed to them in the movies. Thanos’ entire reasoning for collecting and using the stones in the comics was with the aim to garner the love of Lady Death. He offered up souls as a gift, hoping that it would sway their interest, but Lady Death never loved nor returned Thanos’ affections. Lady Death, the personification of death itself, debuted in Captain Marvel #26 in 1973. Lady Death’s powers found her possessing infinite knowledge and power, and often materialized as a humanoid female, residing in an area known as the Realm of Death. Infinity War dedicated a significant amount of screen time to exploring Thanos’ motivations for wanting to wipe out half the population of every planet across the universe, spurred on by the inaction and collapse due to overpopulation of his own home on Titan. Directors The Russo brothers, co-writer Stephen McFeely, and Marvel Studios President Kevin Feige also addressed the possibility of Lady Death playing a part in the MCU, and Infinity War in particular, during the press tour. Which was where Thanos and Gamora’s relationship came in, as established back in Guardians of the Galaxy, Vol. 1. Love still played a part in that storyline. This time, though, it was familial rather than romantic. The feelings between the two were incredibly complex, as evidenced by Gamora’s reaction to “killing” Thanos on Knowhere. Gamora has spent the intervening movies since the first Guardians attempting to separate herself from Thanos’ legacy – and, in fact, do everything within her power to thwart his ultimate plan, up to and including withholding the location of the Soul Stone from him. What she could never account for, however, was that Thanos might truly love her. That sacrifice, of the one person that Thanos loves, is what unlocks the Soul Stone, inextricably connecting Gamora to the stone forevermore. With the major consideration for not introducing Lady Death being that they would be required to set up their motivations, relationships, and mythology, it would instead make sense that this could be the Marvel Cinematic Universe’s interpretation. 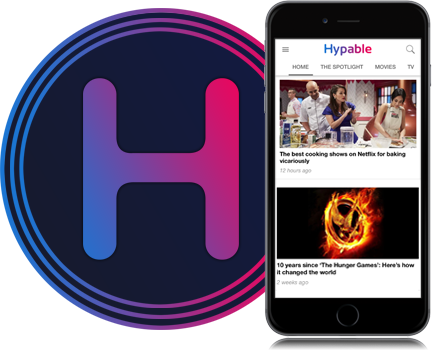 After all, it wouldn’t be such a huge leap to make having now been privy to time manipulation, portals through the universe, bending reality, and wiping half the universe from existence, to another realm – and, in turn, Death – being something that is possible within the MCU. “We always make a different meal out of the ingredients of the comics,” Christopher Markus said. And so, with that in mind, could it then be possible that Gamora herself will become Lady Death. We don’t know the specifics of how the Soul Stone works, or what is possible, but it would make a certain kind of sense. As it currently stands, Gamora’s death only served to further the pain and storylines of the two major male figures in her life – Thanos and Star-Lord. 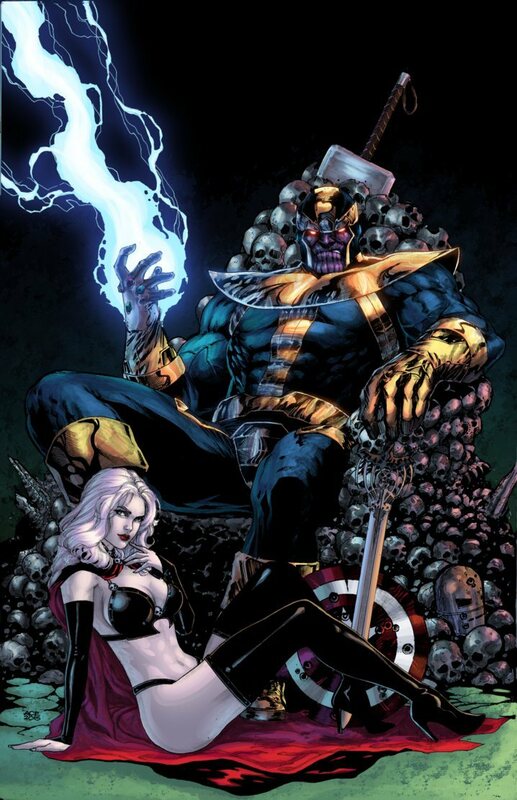 With the potential that she could return, as Lady Death, it would elevate her beyond that, as well as the outside possibility that she could also be Thanos’ ultimate downfall. After Thanos used the Soul Stone to wipe out half the universe, he was transported to a mysterious location. Tinged orange, and deserted, save for one other person: a younger Gamora, appearing as she did when Thanos first met her. That sequence could easily be explained away, but we have another theory. For a brief moment, Thanos was transported to the Soulworld. 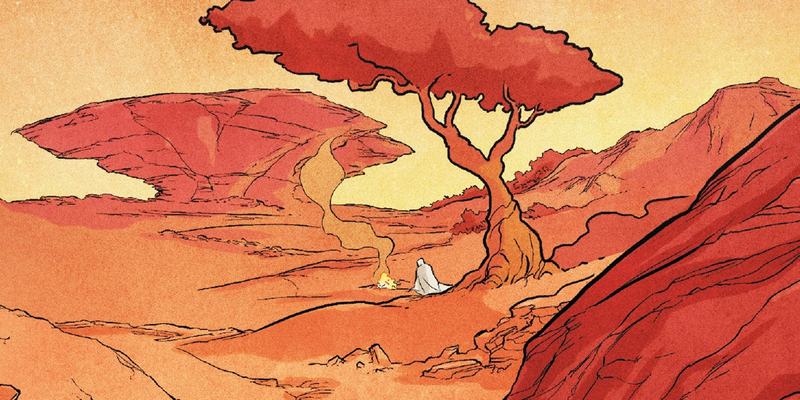 Soulworld, in the comics, is a pocket dimension contained within the Soul Stone. It is a place that houses souls captured by the stone, and is considered a place of peace and tranquillity. 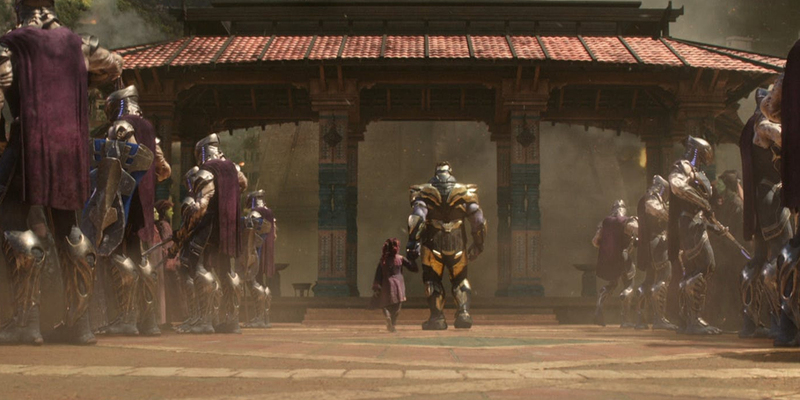 Should that have been the location that Thanos briefly traveled to at the close of Infinity War, it would make some sense that Gamora would appear – she, after all, was the key to unlocking the Soul Stone, so perhaps she was also the first soul to be sent to Soulworld. Gamora was, for a time, contained within the Soulworld in the comics, after she was slain by Thanos, so it also harks back to the source material. It wouldn’t negate the previous Lady Death theory, the two could easily play into one another, but it does offer up an explanation for where – perhaps – everyone Snapped out of existence may have disappeared to. It is, after all, generally agreed that The Snap is reversible. Regardless of the direction that the Marvel Cinematic Universe chooses to move in, we’re certain of one thing: We have not seen the last of Gamora.